UPDATE ON “INDIANS VS. PIRATES: Indians Vs. Pirates will be officially up to buy on August 1, 2017!!! 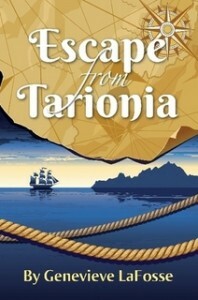 I wrote a book called Escape from Tarionia. You can view the first two chapters by clicking the link below, and if you want to read more, you can purchase the book on that website as well. Here is the link to Escape from Tarionia: Click here to view/buy the book! I would really love it if you would give me a star rating on my book page on lulu.com!!!!! I would also love it if you wrote a review!!! Thanks so much! Thank you! Running Bear will be the name for the boy and Birds Song will be the name for the girl! Sneak Peek #1.“Officer! Boy am I glad to see you!” Michael exclaimed. “Pirates are planning on attacking Coconut Palm Bay in three days! There are hundreds of pirates! And Cariopia’s Military Force is small!” Michael gasped. Kid, I’m on patrol,” the officer sighed. “Please, don’t pester me with your tall tales! Pff! Pirates? Attacking Cariopia!” The officer laughed. “Run along! And get some dry clothes on!” Michael was upset. The officer didn’t believe him. “Pirates were right here in Coconut Palm Bay! But they captured Captain Prekanta and my cousin, Maria. Maybe we can still see the ship!” Michael raced back to Coconut Palm Bay with the officer. They could sort of make out the figure of two ships on the horizon, but the figures were very faint. The officer sighed and said that he couldn’t tell if the ships were pirate ships or not. Sneak Peek #2. The pirates slammed the barred cell door on the three new prisoners. They laughed and bolted back up the stone steps. Maria sprang to the barred door and yanked on it. The door clanked back and forth a bit, but other than that, it would not open. “We’re trapped!” Maria cried. She slumped down onto the cold stone floor, buried her face in her hands, and began to cry. “It’s no use crying,” Michael said from the cell to her left. “It won’t do you any good. We just need to find a way out of here.” Maria wasn’t listening to him. She kept on crying. Suddenly, there was a scurrying sound across the floor. “Pirates!” Maria and Michael gasped at the same time. “I don’t know,” was Michael’s reply. The pirate’s laughter subsided, and the taller pirate spoke again. “But what will we do with all of the people on Cariopia? It’s a big island!” the short pirate said. “The boss hasn’t figured that part out yet,” the tall pirate said. “Well let’s go back and talk to him!” the pirate on the floor suggested. “Besides, Karl here has given us the drawings of Cariopia. I know just where to attack.” He arose, picking up a bunch of maps and papers on the floor. He reached down, and pulled up the man to a standing position. Maria and Michael assumed that he was Karl. “Attack Cariopia? Why?” Maria asked with a lump in her throat. Hay Genevieve, When are you going to make the sequel to the story? I cant wait to see it!! I am sure it will be good!!!!!! I have a baby Sister named Cecilia! I LOVE your book!!!!!!!!!! I cant wait for the second one!!!!!!!!!!!! I LOVE your story, can not wait for the next! Wow the sequel sounds exciting too!!!!!!!! When are you going to finish your story? I cant wait to read it!!!!!!!!!!!! Ok, in the first Indians vs. Pirites sneak peak, that Karl? Is it THE Karl?! The one that drew the map Elizabeth found in Escape From Tariona?! The voyager that went missing for hundreds of years?! I THINK SO! Wow Jacinta. You are close! But it isn’t the guy who drew the map! THIS Karl is related to THAT Karl. That’s all I’ll say for now! OKAY! I AM SO EXCITED! I am waiting for indians vs. pirates! Oh ok! I actually meant the book itself. When do you think you’ll have it done? wow its march already!!!!!!! !I think Mid summer would be safe to say cause I know this author who took 7 years to finish writing a book and it wasn’t that long ether! !